This programme is the first to be launched under Sustainable Infrastructure Engineering (SIE). SIE is multi-disciplinary as it synthesizes the essence of several fundamental engineering disciplines. Students will go through a vigorous academic training provided by highly qualified professors while immersing themselves in the land transport industry through work stints with established organisations such as LTA, SMRT, SBS, Keppel Group and Singapore Technologies. One major highlight will be the Integrated Work Study Programme (IWSP), in which students will be involved in day-to-day operations and confront challenges just like an employee of the host organisation. Students will also have the option to undertake Non-Destructive Testing Level II or III (NDT) certification, (ISO 9712, in collaboration with the Non-Destructive Testing Society of Singapore) so as to enhance their industry-readiness. Vision: To be the leading programme for the land transport industry in Singapore. Mission: To nurture individuals to achieve excellence in the ever changing world of land transport industry. 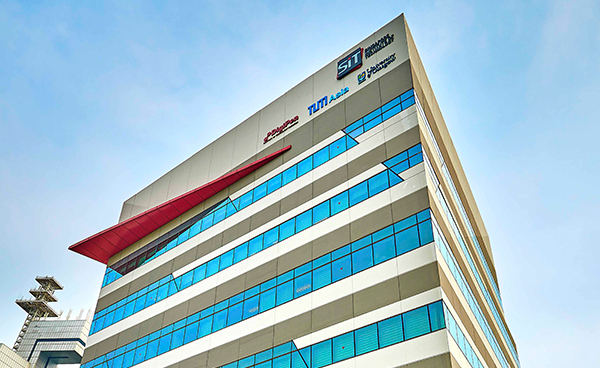 The Master of Engineering Technology Programme Educational Objectives (PEOs) are closely aligned with the SIT DNA. Think and innovatively solve real-world problems in land transport industry using high level technical skills and knowledge. Embrace change for sustainable operation of land transport infrastructure based on analytical and problem solving skills enhanced through lifelong professional development. Generate innovative growth pathways for the land transport industry through strong grounding at the process and system levels. Make impactful advancement and improvement in land transport services both locally and internationally, taking account of professional, social, economic and environmental aspects. The SIE programme aims to groom students to be both practice-oriented and industry ready. Throughout the course of the programme, students will be given the opportunity to take modules such as Total Preventive Maintenance and focus on Railway Engineering, which is not offered by other local undergraduate programmes. Furthermore, the one-year Integrated Work-Study Programme (IWSP) will help to bridge the gap between academic training and industrial needs. The programme will be conducted in 3 trimesters per academic year (˜ 4 months per trimester). To be awarded BEng (Hons) Sustainable Infrastructure Engineering (Land), students are required to complete 6 trimesters of study and a minimum of 2 trimesters of Integrated Work Study Programme (IWSP). To be awarded Master of Engineering Technology, students are required to complete 8 trimesters of study and a minimum of 2 trimesters of Integrated Work Study Programme (IWSP). Year 4, Trimester 2: One subject from each Focus Area of Interest. For more details on the subject available in each Focus Area of Interest, please refer to programme modules. 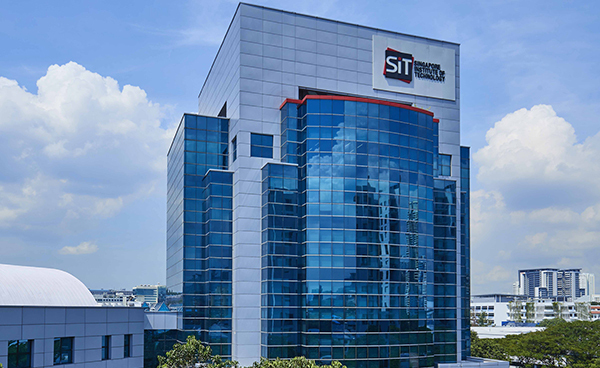 The SIE’s unique programme and curriculum have been crafted with support from various organisations within the land transport industry such as LTA, SMRT, SBS, Singapore Technologies, Keppel Group and Sembcorp Industries. Students will therefore gain the necessary knowledge and skills for an enriching career in the industry. Regional Immersion In Sustainable Engineering (RISE) will create opportunities for students to visit key infrastructure facilities and projects in the region. Students will gain first-hand experience in communicating with engineers, designers and operators who are working on various phases of a project such as those in design and construction. The meticulous maintenance schedule that can eliminate any incipient breakdown of the systems will also be explored. RISE will be an eye-opener that will enrich students' learning experiences. Understanding engineering designs is a basic skill expected of all engineers. It is essential because graphics communication and documentation using 2-D drawings and 3-D computer models are a universal means of communicating a design idea clearly, and allowing the idea to be converted into physical products. This module is for SIE students in their first year of studies. Student progress shall be assessed through drawing assessment and assignment, final design project, presentations and final report. •Use of computer-aided design (CAD) software as the major graphical analysis and design tool. Elementary fluid dynamics; Momentum equation and its application (Bernoulli’s equation); Dimensional analysis (Buckingham Pi’s theory) and similitudes; Internal flows and piping systems; Principles and applications of fluid machines, including pumps, compressors and turbines. Fundamental Circuit Principles, Kirchhoff’s Law, Thevenin’s and Norton’s Theorem; Transient Response of Circuits, Steady State A.C. Analysis of Circuits, Power in A.C. Circuits, Transformers, electrical machines, semiconductors devices – diodes and transistors, operational amplifier, logic gates and combinational circuits. Marine engineering fundamentals, whole value chain of marine industry, Singapore’s marine industry; Introduction to Hydrodynamics, Introduction to marine propulsion, Overview of ship and offshore structures; Introduction to offshore and marine maintenance, Repair and overhaul of ship structures including industrial site visits. Introduction to NDT on the fundamental principles of test methods applied in industry. This provides an understanding of the features and limitations of the different methods for effective method selection and application. Through hands-on training, students will also learn test equipment calibration, set up and operation, as well as sample preparation for inspection. Principles and applications of railway signalling and communications, such as signal interlocking; automatic train protection; train detection and separation; automatic train operation; analog and digital data transmission; and communication medium, networks, and protocols. Introduction to Fundamental Engineering Mechanics and Electrical Power Systems on typical integration of Rolling Stock and Permanent Way Systems. Comprehensive overview of electrical power systems, rail vehicle dynamics, and their response to wheel rail interactions and impacts of vibration and forces. List includes vibration analysis, collision impact, AC/DC motors & VVVF for induction motors. Flaw detection and sizing are covered for the different test methods where students will practice these skills by inspecting for a range of damages including surface-breaking cracks, welding flaws and porosity in common types of materials and structures used in industry. Emphasis is also given to translation of standards and specifications to practical inspection procedures, interpretation and evaluation of test results, and professional reporting. Introduction to total productive maintenance (TPM) concepts and techniques, including preventive maintenance, autonomous maintenance, maintainability Improvement, maintenance prevention, and P-M analysis; TPM relations to other technical maintenance discipline like reliability centred maintenance (RCM), instruments protective function (IPF) and risk based inspections (RBI). Application of lean enterprise model to maintenance, repair and operations (MRO); Introduction to lean principles and theory of constraints, and their application in waste elimination, quality improvement, work flow and responsiveness enhancement. Theoretical and practical understanding of supervisory control and data acquisition in the railway environment, such as field instrumentations; remote terminal units; programmable logic controllers; telecommunication infrastructures; supervisory computer system; and human-machine interface. A general review of various safety standards, best practices and legislation that govern the development, safety and maintenance of railway systems; Historical perspective how these standards/practices/legislation evolve with railway developments. Review on statistics and probabilities; Introduction to statistical standard control charts, e.g. R-, p-, np-, c- and u-charts, and their applications and limitations; Importance of assumptions and how they affect control charts properties; Case studies. Introduction to concepts of remanufacturing; Overview of various remanufacturing technologies and processes; Energy and cost analysis in remanufacturing.